arcan has been in the news a lot recently as the opioid epidemic rages across the country. Narcan is a drug that saves lives when people are overdosing on opioids. Narcan is the brand name of the medication, naloxone. It is an antidote to opioids. When Narcan or naloxone is administered, the effects of a heroin overdose or an opioid overdose are reversed. While it has been used by first responders and in emergency rooms for quite a while, what is new about it is the increasing number of people that are overdosing on opioids. This is due to the epidemic we are in the midst of in this country. In many states, Narcan shots are easily available so that if you have a loved one who is addicted to opioids, you can carry the shot with you in case of an emergency. There is also a nasal spray that is more portable and easier to use. Opioids is a term that refers to a category of drugs that can include prescription drugs like oxycodone, hydrocodone and morphine as well as illegal drugs like heroin. These addictions may begin with a legitimate prescription following a surgery or because of chronic pain. Even if patients take these powerful opioids as prescribed, however, it can still lead to addiction. Naloxone or Narcan is an opioid antagonist which is used to reverse opioid overdoses. 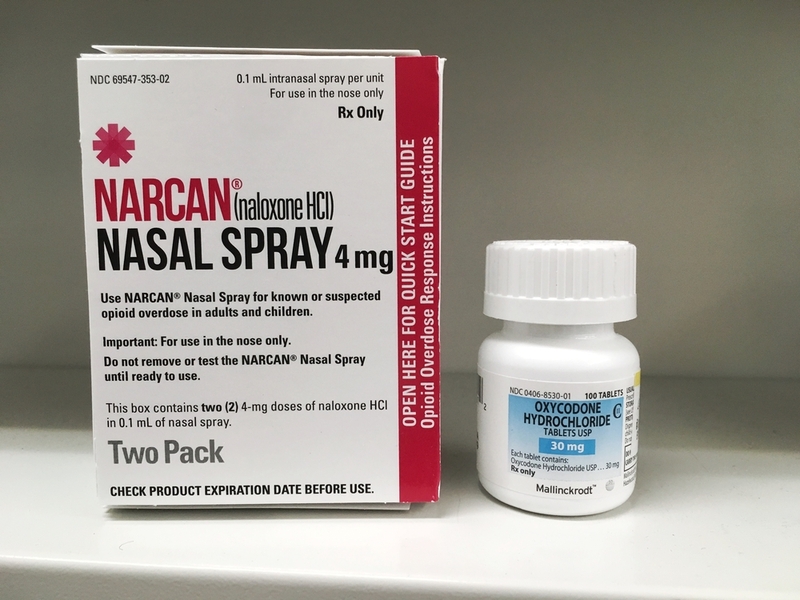 The use of Narcan can sometimes help to diagnose an opioid overdose, it can reverse respiratory depression that occurs with an opioid overdose and it can help with blood pressure support in the event that someone is in septic shock. If you think someone around you is overdosing on opioids, there are many steps that you should take. First, you will want to check the person to see if he or she responds. You can try shouting at them or shaking them. You should also check to make sure they are breathing. If the person is overdosing, call 911 immediately, especially if they aren’t breathing. If you do have Narcan nearby, you should administer it. Even after the first dose, if the person starts vomiting or making gurgling sounds, if their heartbeat or breathing is slow or stopped, if their fingernails or lips appear blue or if they can’t be roused from sleep, they may need another dose of Narcan. The emergency responders on the phone will typically provide instructions for how to perform rescue breathing. Also, there is a recovery position that you can put the person in to make sure they don’t choke. Narcan is currently a prescription product. However, work is being done in a number of states to make Narcan available without a prescription. In other states, you may be able to get a Narcan shot or nasal spray to have on hand if someone you love is addicted to heroin or other opioids. If you love someone who has a drug addiction, it’s important to know about life-saving drugs like Narcan. However, it’s also important that you encourage them to seek treatment. Inpatient and outpatient treatment programs are available at The Recovery Village Ridgefield. Located in the Cascade Mountains, our facility is convenient to Seattle, Washington and Portland, Oregon. We are committed to helping those who are suffering with substance use disorder find a path to recovery.